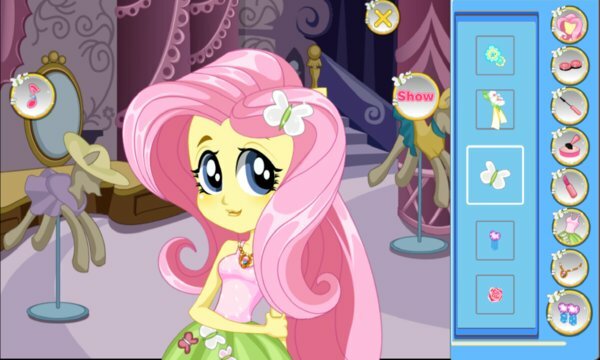 Every day, Fluttershy spends her time creating fabulous outfits so that she can stand out from the rest of her friends. She loves to spend long hours brushing her hair and shopping for trendy clothes and accessories. Today, Fluttershy feels like expanding her horizons by creating an entirely new look. 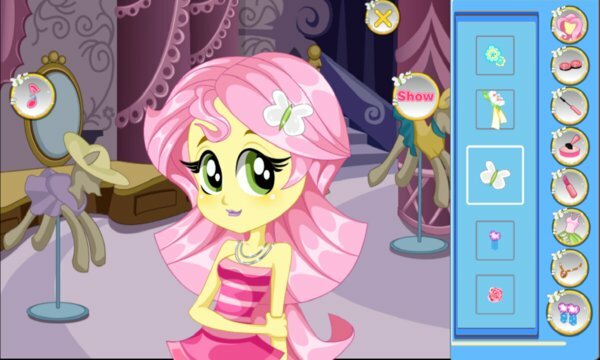 That's why she's asked you to help her undergo a fashion makeover in this fun online makeover game for girls! Follow the instructions to apply various beauty treatments and colorful makeup. Then browse the wide selection of stylish options to create the look you like best. Thanks to you, she's sure to get compliments on her wicked style all day!